Clue is a 1985 comedy mystery film based on the board game of the same name (Cluedo outside North America). The film is a murder mystery set in a Gothic Revival mansion, and is styled after Murder by Death (which also featured Clue star Eileen Brennan) and other various murder/dinner parties of mystery. 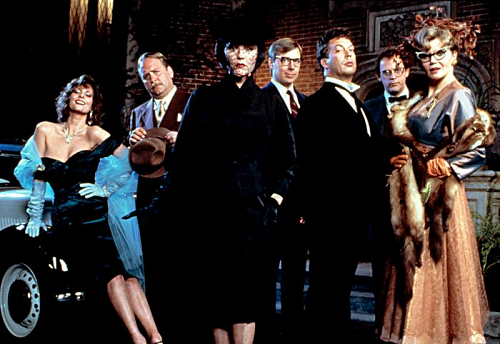 The film was directed by Jonathan Lynn, who collaborated on the script with John Landis, and stars Tim Curry, Eileen Brennan, Martin Mull, Lesley Ann Warren, Christopher Lloyd, Michael McKean, Madeline Kahn, Colleen Camp, and Lee Ving. The film was produced by Debra Hill.